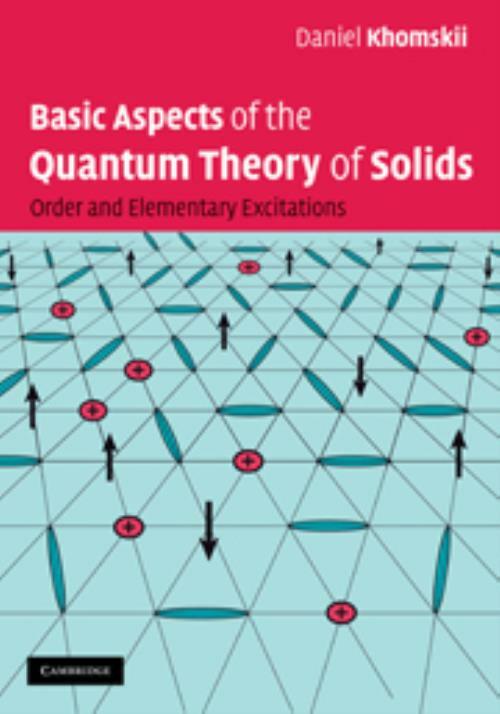 Aimed at graduate students and researchers, this book covers the key aspects of the modern quantum theory of solids, including up-to-date ideas such as quantum fluctuations and strong electron correlations. It presents in the main concepts of the modern quantum theory of solids, as well as a general description of the essential theoretical methods required when working with these systems. Diverse topics such as general theory of phase transitions, harmonic and anharmonic lattices, Bose condensation and superfluidity, modern aspects of magnetism including resonating valence bonds, electrons in metals, and strong electron correlations are treated using unifying concepts of order and elementary excitations. The main theoretical tools used to treat these problems are introduced and explained in a simple way, and their applications are demonstrated through concrete examples. 13. Magnetic impurities in metals, Kondo effect, heavy fermions and mixed valence; References; Index. Daniel I. Khomskii Rijksuniversiteit Groningen, The Netherlands. D. I. Khomskii is a Professor in the II Physikalisches Institut, Cologne University. His main research interests are the theory of systems with strongly correlated electrons, metal-insulator transitions, magnetism, orbital ordering ('Kugel-Khomskii model') and superconductivity.